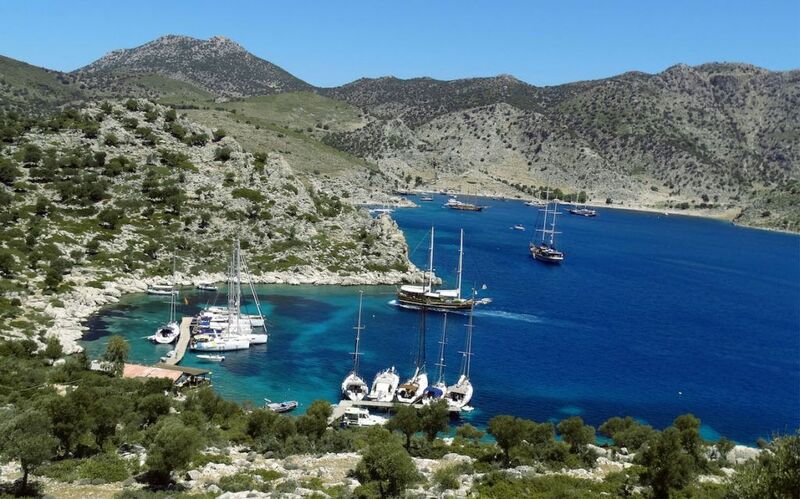 Loryma is a pleasant anchorage with several coves which present a very good safe haven from the Meltemi. The location lies within a mountainous, mostly uninhabited coast. The somewhat barren mountains are imposing and quite a contrast to the pine-clad slopes closer to Marmaris. 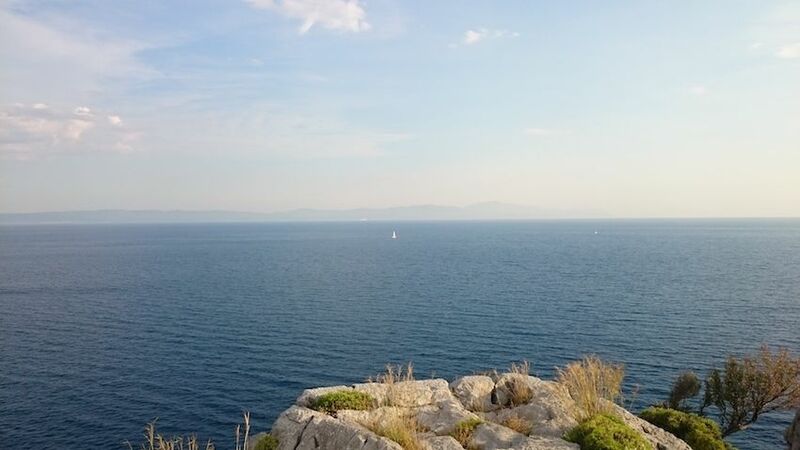 Overlooking the coves is a large, very well preserved Hellenistic castle. Here the Athenian fleet was sheltered during the Peloponnesian War before the battle of Knidos. It has other significant history of warring fleets, one being in the service of Alexander the Great. The castle was built on the east hill of the entreance of the Loryma Bay for protection. There are several restaurants competing for the yacht business by offering laid moorings. You can either accept one of their moorings or anchor off-shore at 8-10 metres. There are small pontoons in front of the restaurants. Boats up to 60′ can be accommodated. Alternatively, anchoring in various positions in the bay is also possible. The bottom is weed and you should look for a patch of sand to drop anchor. Take care since holding is not always reliable. Just inside the entrance, is a cove under the citadel in 8-10 meters to anchor and take a line ashore. There are two coves on the western side in 5-8 meters. Also, there are two coves near the head of the bay in 5-10 meters where you can taker a line ashore.